This work concerns the prominence of the role that coherence and resonance play in the life of mankind. 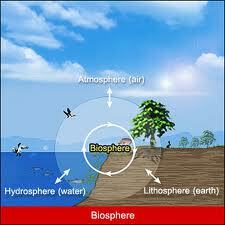 Man is an organic entity that lives on the inorganic crust of the Earth. Modern man is but one result of eons of evolutionary development of organic life throughout the history of the planet Earth and the Solar System of which it is a part. This work is an effort to elucidate the interconnectedness of the development of concepts by people, as a human primate animal, concerning the universe within which they exist. 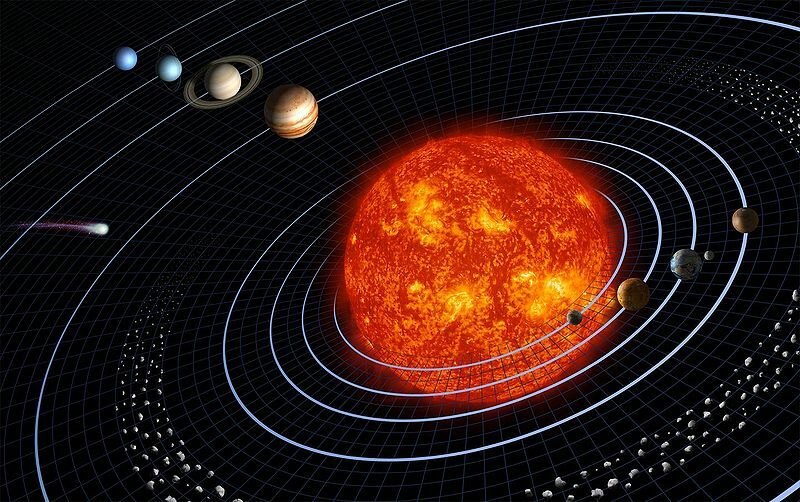 Rhythms or cycles appear to exist in the Solar System at large and this is the basis of the concept of celestial mechanics in the science known as astronomy. Observable cyclic reoccurrences exist in the behavior of every organic entity living upon the Earth; this is the basis of actual survivability as an individual and as a species. How then does one bridge the gap between celestial mechanics at large and the survivability of an organic entity; and for the purposes of this work, a person? A considerable amount of background information follows in order to be able to posit an answer to this question. The author assumes that you will read all of the provided information of the links listed. This will enable you to understand what is being alluded to and not unduly clutter the work being offered here. Currently, the science of physics has determined that 4 fundamental forces (http://en.wikipedia.org/wiki/Fundamental_interaction) are at work in the universe. Gravity is what has formed the Solar system and the planet Earth. The strong force keeps the sub-atomic particles of the matter elements in place. The weak force gives to us the capability for nuclear power. It is however the electromagnetic force (http://en.wikipedia.org/wiki/Electromagnetism) that allows organic entities to exist. For the purposes of this discussion, how do light and matter interact? Light comes from a star (a ball of thermodynamically reacting matter) and impinges upon the Earth (relatively stable matter). Thus, there is a relationship between matter and light. This relationship is the topic of the science of quantum electrodynamics (http://en.wikipedia.org/wiki/Quantum_electrodynamics). All phenomena involving electrically charged particles interacting by means of exchange of photons represents the quantum counterpart of classical electrodynamics giving a complete account of matter and light interaction. Modern physical science has shown that photons are not particles but standing wave interactions. It is the interaction of the standing waves that gives the impression of substance at the point of intersection (http://en.wikipedia.org/wiki/Quantum_mechanics). This is where the concepts of coherence (http://en.wikipedia.org/wiki/Coherence_(physics)) and resonance (http://www.intuitor.com/resonance/index.php) enter the picture. There will be more concerning these 2 topics after a presentation, of again, a considerable amount of background information that follows. While the force of gravity causes matter to accumulate into an overall ball like shape, it is the distribution of matter within the ball that is important. The Earth has a molten core due to the compressive force of gravity upon which floats cooler crustal plates. The iron laden molten core acts like a dynamo (http://en.wikipedia.org/wiki/Dynamo_theory) and concurrently generates a magnetic field (http://knol.google.com/k/origin-of-the-earth-s-magnetic-field#) due to the rotation of the Earth about its axis. The Earth is thus a type of DC motor. The magnetic core is 880 miles in diameter and solid magnetite. The solid magnetic core is surrounded by a diameter of forty five hundred miles of liquid magnetite magma. Relatively speaking the crust is thinner than an eggshell at twenty to sixty miles thick, and contains the whole spectrum of the periodic table. It is interesting to note that the core spins at one rate while the crust spin at another. It is possible that whorls in the magma are partially responsible for the weather patterns, in addition to the Coriolas effect. Most of the surface of the earth is covered with sand (doped silicon dioxide) upon which there is sea water full of mineral ions. Remember tides and waves are influenced by Sol and the Moon (see below). Full moon for example strongly affects the low tide. The sun is the second strongest effect on gravity on the surface of the Earth. We are in orbit around the Sun. The Sun accounts for eighty percent of the mass of our solar system, so that is a very strong effect. This magnetic field on the Earth extends some distance from the molten core through the crustal plates and into the biosphere (http://en.wikipedia.org/wiki/Biosphere) and atmosphere. The main field components vary slowly in time and space (http://www.ngdc.noaa.gov/geomag/faqgeom.shtml). They can be grossly described as that of a bar magnet with north and south poles deep inside the Earth and magnetic field lines that extend well out into space. The NOAA national Geophysical Data Center has more information (http://www.ngdc.noaa.gov/geomag/servers.shtml) concerning the Earth's magnetic field. Some research suggests that the oceans contribute to Earth magnetic field variations (http://physicsworld.com/cws/article/news/39469). This website has a detailed description of solar wind perturbations affecting Earthly matters: http://www.astrosurf.com/luxorion/qsl-perturbation2.htm. This article is a source for gaining a very good background understanding of the current state of geomagnetic knowledge: http://www.geomag.bgs.ac.uk/education/earthmag.html. In the biosphere, it was originally thought that the only electric phenomena are lightening strikes and static electric charge generated by weather. Since all chemical reactions involve the movement of electron pairs and sometimes single electrons, matter has many types of electromagnetic fields generated by the myriad compounds that comprise the bulk of the Earth and all living organisms that inhabit the many ecological niches found there. However, these matter-electromagnetic influences align themselves within the overall constantly generated dynamic magnetic field of the Earth. However, the work of Hans Giertz [http://www.miklagaard.com/wp-content/uploads/PDF-Air.pdf] has shown that the atmosphere and crust of the Earth contain electrons caused by the global electric circuit. The rotation of the Earth generates 24-hour period currents in the magnetosphere, known as the Birkland currents. These currents generate transverse electromagnetic waves that propagate parallel to the geomagnetic field lines. The speed of the current (Iair) is slow, 20 m/sec. Thus, a dominant field influence for living entities on the Earth is that of the magnetic field component of quantum electrodynamics. All living entities are made up of elements (http://periodictable.com/index.html) and compounds from the Earth (and perhaps some from meteors that have collided with the Earth) and the atmosphere surrounding the Earth. The physical matter that makes up the bodies of living entities has been formed within the magnetic field of the Earth (MFE). The elements and compounds that make up matter have various degrees of magnetic susceptibility (http://www.britannica.com/EBchecked/topic/357313/magnetic-susceptibility#). The new work of Hans Giertz (2010) has shown that Iair has a significant impact on biological processes in the organisms studied, including humans [http://www.miklagaard.com/wp-content/uploads/PDF-Humans.pdf]. 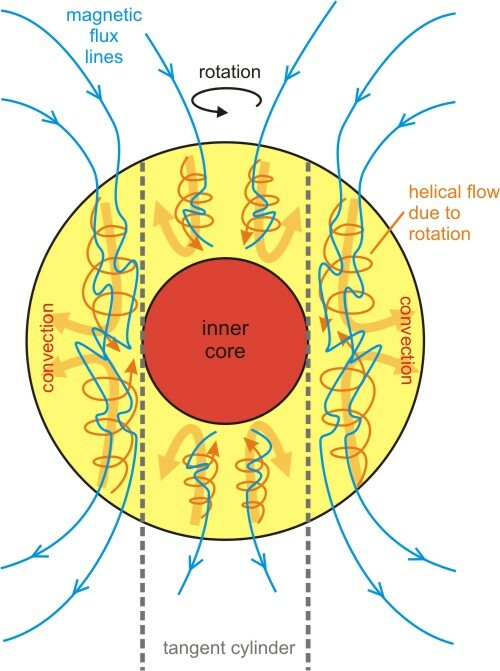 Additionally, all animal species have the ability to align themselves with the ambient MFE (http://www.biology.duke.edu/johnsenlab/pdfs/pubs/magnetoreception.pdf and http://www.angel.ekol.lu.se/~rachel/publications/Introductory%20Paper%20def.pdf). It is well known that livestock orient their movement, grazing and bedding behavior according to the vagaries of local environmental MFE (http://www.pnas.org/content/106/14/5708.full) and that EMF from power lines disrupts this sense. The relative positions of the components that make up the Solar System present a cyclic distribution of matter and attendant gravitometric and magnetic influences. This cyclic phenomenon sets the backdrop for all rhythmic influences impinging upon the Earth from the other components of the Solar System, from the galaxy and from the universe. This is but 1 of the essential natures of celestial mechanics. It is this dynamic and rhythmic interplay of matter and magnetic influences of all the member components of the Solar System that plays a huge role in the behaviors of all living entities. Perhaps the greatest directly observable role of the force of gravity is that in the generation of tides according to the influences of celestial mechanics. "The Equilibrium Theory of Tides" examines tides by looking at the balance and effects of the orbital forces between Sol, the Moon and the Earth (http://web.vims.edu/physical/research/TCTutorial/static.htm). It is the magnetosphere produced by the Earth dynamo that protects living entities from the more ionizing components of light and ions received from Sol http://en.wikipedia.org/wiki/Magnetosphere). Most of the light impinging upon the Earth has the origin of Sol. The relative position of the components of the Solar System modifies the quantity and quality of light impinging upon the Earth from the Solar System, from the galaxy and from the universe at large. An electromagnetic wave has a length that may be very small (cosmic rays) to very long (radio waves). 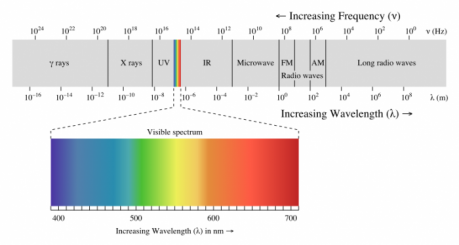 The speed of light (c) is the wavelength (meters) times the frequency (waves/second or Hertz [Hz]). The wave has 2 components, the electric and the magnetic, that are perpendicular to each other in orientation. 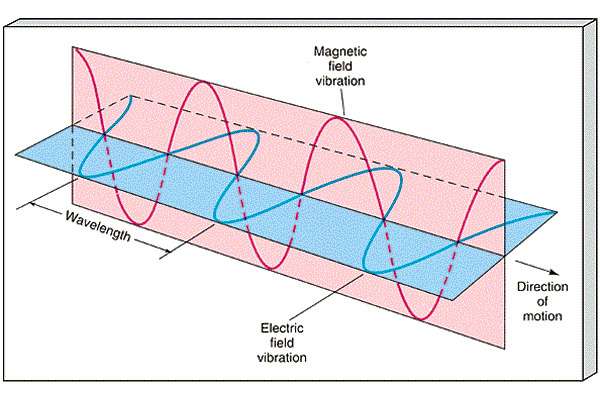 Electromagnetic waves can be imagined as a self-propagating transverse oscillating wave of synchronous electric field and magnetic field components. In describing the characteristics of an electromagnetic wave, much is described about the electric component but very little is said about the magnetic component. For some reason, the magnetic component seems to have been left out of scientific inquiry. This is strange when you consider the fact that Faraday's law was originally based on Michael Faraday's measurements of the electric currents induced within a conducting wire loop when the magnetic flux enclosed by the loop changes, i.e., a changing magnetic field produces an electric field. Here we see that it was work with static magnetic fields (bar magnets). that led to the discovery of electromagnetism. This in turn led to the discovery of the production of electricity and eventually to the use of electronics. The magnetic moment of any element is related to unpaired electrons (and their spin orientation) in the outer orbital regions of the atom. It is the synchronous movement of these outer orbital electrons and their spin orientation that creates magnetism. Electrons seem to absorb energy in discrete quanta and tend to move to a higher orbital region in doing so. As the electrons loose the absorbed energy and descend to the lower more stable state, an electromagnetic wave is generated. This wave is a characteristic of both the electron orbital region and the element in question. Thus each element will have characteristic emissions of light, see here. This is the ultimate source of all electromagnetic radiation - the movement of electrons from a higher region about the atomic nucleus to another but lower region. Analytical chemistry is based in part upon the characteristic movement of electrons and the bonds that electrons form between the various elements of all molecules. An interesting question arises as to the possible influence of gravity effects of the celestial members upon the dynamic gravitometric parameters of the Earth's molten core dynamo. Are there overall magnetic field sectional regions of distinct gravitometric parameters? 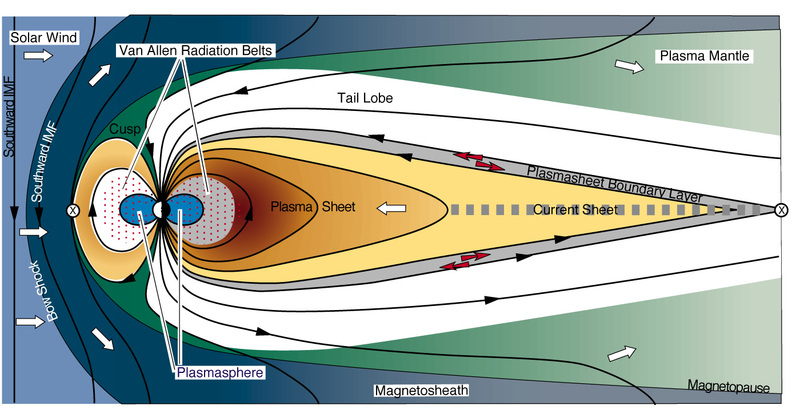 Research has shown that externally applied magnetic fields affect physical structure, see here. In addition, externally applied resonant magnetic flux is known to influence the width of magnetic field islands in a static magnetic field, see here. Other research shows that the solar wind and interplanetary magnetic field parameters, as well as the magnetic fields of the Sun and the heliospheric current sheet play the mediating role in determining the Earth orbit, see here.